New API Rules for Twitter - What do they mean? 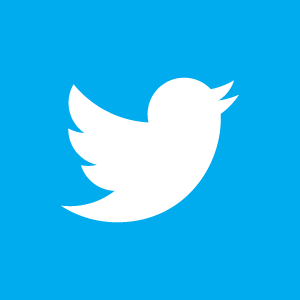 New API Rules for Twitter – What do they mean? Many of us as social media users and marketers rely on 3rd party Social Media Management tools to streamline our productivity on social networking sites. For example these popular tools include SproutSocial, Hootsuite, Wildfire, Socialoomph plus many more. If you are managing multiple social media accounts across Twitter, Facebook, LinkedIn, WordPress, Foursquare, Google Plus etc – it really does become a time consuming task without the aid of such tools. However last week in a blog post, Twitter has given developers some new rules and restrictions everyone must abide by. The Individual API call limit is being reduced from 350 to 60 API calls per hour. This basically means if you are using a 3rd party Twitter client previously you could send 350 API calls per hour. API calls consist of refreshing your timeline, refreshing your @ feed, posting new tweets, retweeting others, favouriting tweets – the new limit is 60. This should be fine for your average Twitter user. If you build a new Twitter application, you will only be able to go to a maximum of 100,000 users. Anything past this will need to be expressly determined by Twitter and will probably have stricter guidelines. If your existing application already has over 100,000 users, you will be able to double your existing user base – but that is the limit. There are whole new guidelines for how you display tweets, profiles and user accounts in non-official Twitter applications and mobile clients. While these new changes don’t directly impact individual Twitter users, it does impact the 3rd party tools we are using. There may be less incentive for these companies to continually build and innovate new products on the Twitter platform unless they can see a clear and unobstructed vision for the future. Don’t think of this update as specifically bad news, some developers have criticised these changes but there still seems to be plenty of room for developers to build on the Twitter platform.